Here are my vegan/carnivore menu plans for this week. Lunch - vegan leftovers, starting week with leftover vegan chili and salad or carrots, transitioning to leftover kitchari from a previously frozen stash. I have come to the end of my series of letters from my maternal grandmother Esther to her siblings. I have some other letters from Esther that I will post later. Today's post will be of interest to those related to my paternal grandmother, Dora Elaine Morris Hall. During World War II, she received this hand-written letter from Do Bouman that I wanted to share with you. The first thing I noticed was that the letter was clearly written by a pen that you dip into an ink bottle. How cool is that? It is my pleasure to write to you and hope my lettre finds you in the best of health. I suppose you are wondering already who this letter is from, therefore I shall tell you before I go any further. I am a Dutch girl and I am eighteen years of age. My name is Do - pronounced Doe - . As I am not at school, it has been my pleasure to give my services to social work, which entails mostly of helping the poor people of my town. Now I will tell you the reason for my writiiiing you. This morning while helping in a room of a large building which was demolished by fire owing to enemy action, I found your address attached to a nice warm pyjama suit which was very kindly sent by you and was to be given to one of the eight children of the family who was very badly in want of it. Therefore my dear Mrs. Hall you may rest assured that your kind and lovely gift has gone to a person whom I am sure you would have liked it to be given to. Actually it was a little girl seven years of age and when it was given to her she wanted to put it on immediately. She was so excited she danced around the room with joy. "Oh what a nice sleep I will have tonight. I will not hear the bombs." the parents of this particular family do not understand English and thought that your address which was on the little ticket was the measurements of the suit, so when I go to see this family again they will be very happy to know that I have written and thanked you for the splended gift which I am certain they would like to have done themselves had they been able to write in English. I find great pleasure in helping such people and especially in writing this humble lettre of thanks which I hope you understand. I could carry on for a long time telling you about my work and conditions here, but that would I'm afraid take up too much of your time, for your kindness the the children and myself will offer our prayers for in return. God bless you in health and happiness. 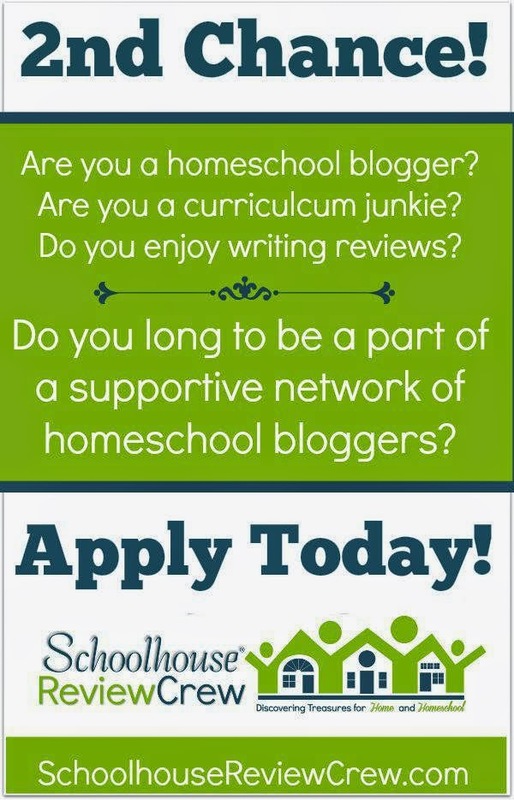 Did you let the last opportunity to apply to the Schoolhouse Review Crew go by without applying? Did you regret it? Well guess what? They need more applicants. They have decided to open up the application process again! Apply Today! The Review Crew evaluates the vendors they have reviewed at the end of each review year. 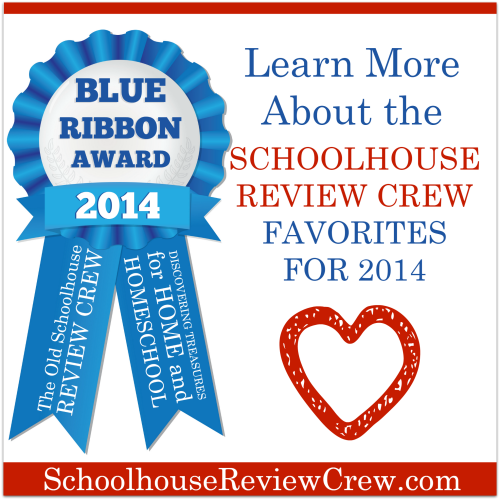 The Crew Blue Ribbon Award Winners have been posted. Click and see what we all liked best this year! Here's my vegan/carnivore blended menu plan. Mostly preparing vegan fare from frozen portions from previous meals. This letter is the next letter I have from Esther by date, and the last letter I have in the series from Esther to Jennie and the rest of the family in North Dakota. 3842 Lake St., Geo. Dr. This is the first day since I got here that its cool enough in the morning to have the windows open. Theres a little breeze from the east and its cloudy. I imagine if the sun comes blasting through these kitchen windows though it will warm up real fast. But its supposed to be only in the low 80s for a high. So much for the weather. Thank you for your letter, Jen. That is a really cute picture of AZA. I put it into my album. I too am back to quilting. I'm making a wallhanging about 36 by 40 inches. Its in that last book you sent me last year. At one point I was going to throw it into the garbage cause I had such a time getting it to look right but now I think its going to be O.K. after I let it rest a few days. Dorothy, Florence and I had quite an experience last week. I picked them up and we went to Sunset Beach. Its been built up since that storm a couple of years ago and now has a nice wide sandy beach and very pepople (very many people?) on it. Not much parking place left though. Anyway the water was perfect -- 84 but not quite like bathwater and such a few little gentle ripples. we swam around for close to an hour and decided we should get into the shade for a while. We had lunch at that little Bistro and Florence and I decided to play a little scrabble. As Dorothy doesn't play she said she thought she'd go back into the water and we told her to go ahead and that we'd be in as soon as we finished our game. She was back in a few minutes with a bleeding ankle and was in terrific pain. I went over to the cafe to see if they knew of what might be in the water to cause such a thing and they said yes -- it was the sting ray season and gave me some ice to put on it. Florence and I did go back in for a short swim but Dorothy was still in pain when we got back so I insisted that we stop at Palms of Pasadena Emergency room on the way back. They told her ice was the wrong thing and when I got back from parking the car she was sitting there with her foot in a pan of hot water. They took her blood pressure, gave her a tetnus shot and told her to soak it for 20 minutes four times a day and it should be alright in four days. Florence wasn't so sure because she got stung once and it took all summer to get over it. Well of course I was quite worried cause it had been my idea but Dorothy called me the next morning and said the pain was gone and she had slept like a log. I've talked to her since and she said she keeps soaking it like they told her but that it hadn't hurt her at all since. Oh, I got the tape of Eino's funeral from Hilda and enjoyed listening to it all except the organ. But it was good to have it and to feel almost like you were there. Well, will call this it for now. Still haven't gotten used to this machine -- especially after using Carole's last summer. 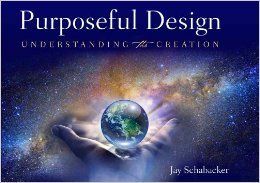 I late September I learned that we had been chosen as one of the families on the Crew to review for Purposeful Design a beautiful new book called Purposeful Design: Understanding the Creation, by Jay Schabacker. Jay Schabacker, the author, has done everything from Aerospace to finance to church ministry.The breadth and width of his experience and education makes him uniquely equipped to author this amazing book. Purposeful Design , which is suitable for all ages, is a book about the first seven days of creation, as laid out in Genesis. The Introduction is followed by seven chapters, one for each day of creation. There is an epilogue at the end. Right from the Epilogue, I was learning new things. (Me! The mom!) Much of the content was new material for both me and my son. Some of the material we were skeptical about. When in doubt, Internet search. Much to my chagrin, wherever I was in doubt, I was always wrong. The author, Mr. Schabacker, was correct every time. Chapter 1 is about Day 1 of Creation, when God created the light and separated the light from the darkness. In this chapter Mr. Schabacker also discussed gravity, planets, orbits, and information about orbits and rotations. I wouldn't want to give it all away. Chapter 2 is about Day 2 of Creation, when God separated the waters below from the waters above, as in created the atmosphere, the sky, and the waters on the planet. In this chapter there is also information about the water cycle (this author calls it the "Rain Cycle"). There is information about the ratio of water to land on the earth's surface, flooding, deserts, and how important it is that God created the ratios that he did. Chapter 3 is about the creation of dry land, separating the land from the water, and the creation of vegetation. This chapter helps the student consider the importance of vegetation to all living things. Chapter 4 talks about God's creation of the sun, the moon and the stars. This chapter also discusses tides, the effect of the moon's pull, as well as the regularity with which everything in God's creation ticks through its functions year after year, ever the same. This chapter talks about Stonehenge, and sunrises, and so many things. This is a long chapter; I won't mention everything in it. Chapter 5, the 5th day God created the birds and the fish. We imitate birds with our air planes, and fish with our submarines! And why does ice float? I'm not going to tell you. You need to get the book. Day 6 is the day land animals and humans were created. In this chapter I learned more about cows and camels. There is teaching about blood clotting and DNA and the basic cell in the human body. And, finally, Day 7 discusses the importance of rest. Please don't make me embarrass myself; you can't make me tell you all the things I thought that weren't correct -- things about tides, and cow stomachs, camels, and I don't even remember. Suffice it to say that for an 87-page book full of beautiful illustrations, the book is also full of an amazing amount of unusual trivia information about all sorts of things! In addition to this beautiful book that teaches purposeful design, the author also created a workbook for you to use while you follow along through the book. This workbook is free for everyone who purchases the book. It is a PDF download, and there is also a corresponding answer key to download at the same time! I chose to read this book out loud to my son. He is my only student, and often reading aloud is the most efficient use of our time. I wanted both of us to experience the book, so I had to read it anyway. It worked for us. In our home we seem to have constant demands on our printer, so I chose not to print out the workbook. As we finished each chapter's reading, we discussed the workbook content for that chapter. This helps to cement the information into my student's brain, and let's me confirm that he was paying attention. Purposeful Design is currently priced at $18.95, which is 25% off of its normal price. This is the perfect time of year to consider a book like this as a gift to a home school family of your choice. I think you will enjoy this book and will enjoy sharing it with your children and your friends. Purposeful Design was also reviewed by other members of the Schoolhouse review Crew. To read more reviews of this book, please click on the below link.